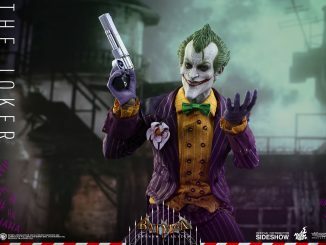 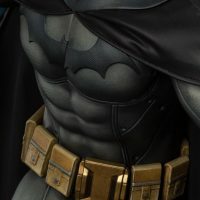 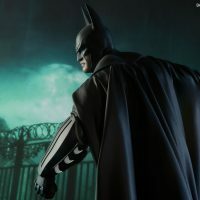 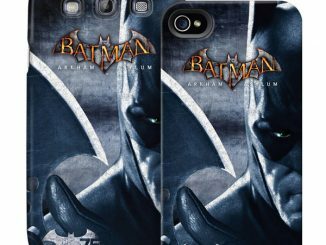 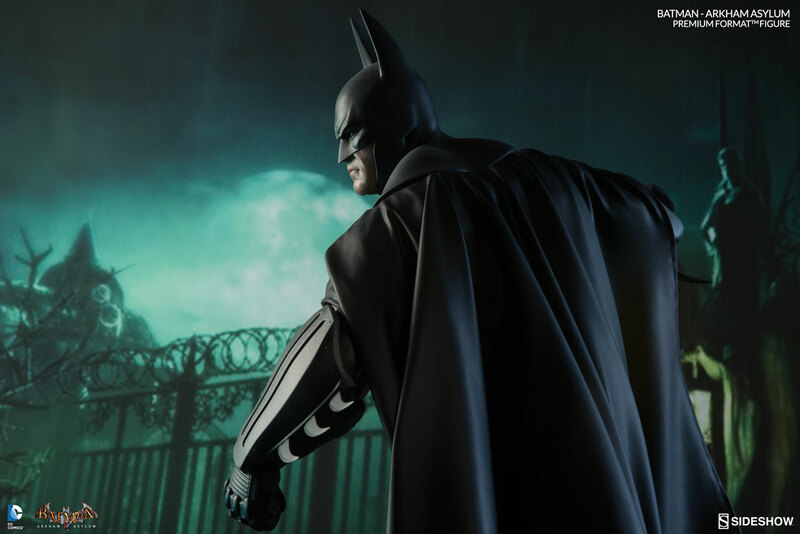 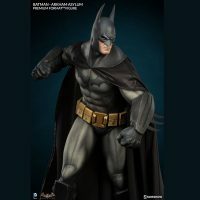 When you’re in a dark and creepy loony bin, you suit-up like the Batman Arkham Asylum Premium Format Figure because there’s going to be serious trouble when the lunatics are in charge of the asylum. 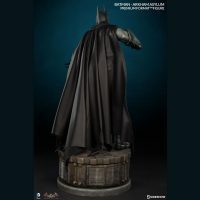 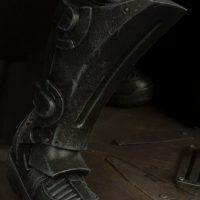 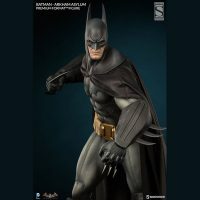 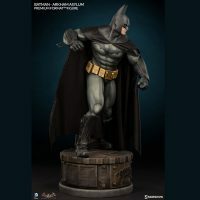 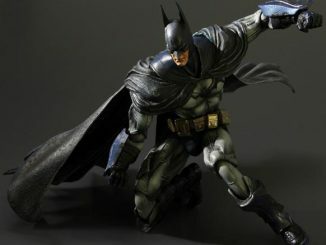 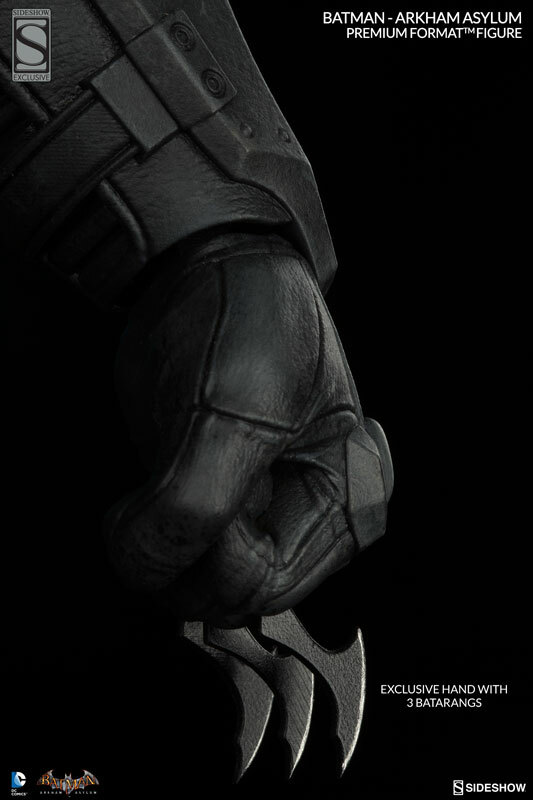 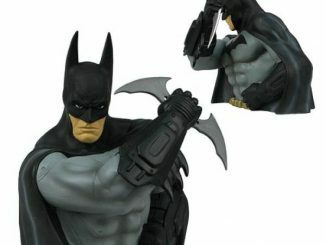 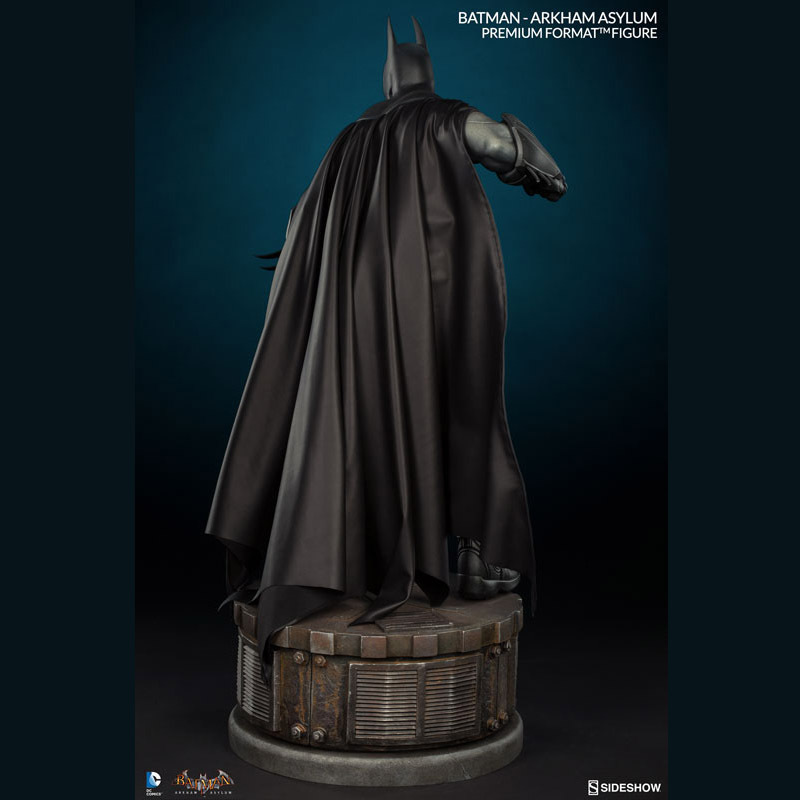 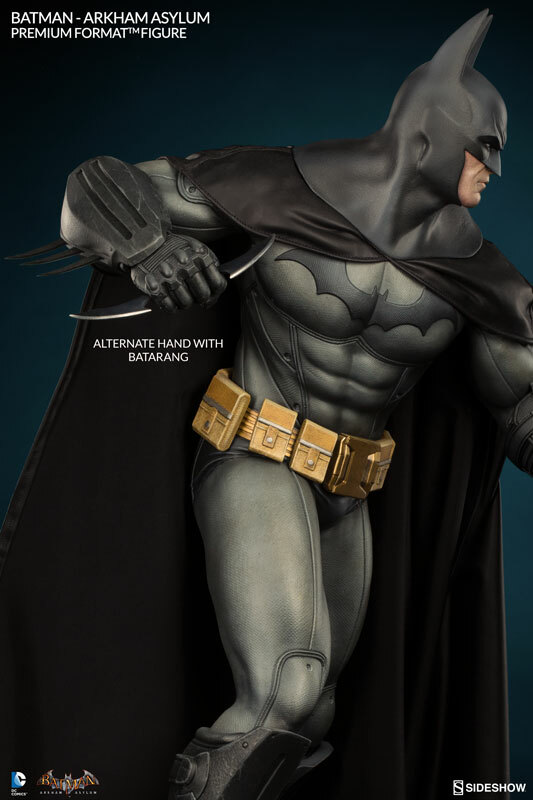 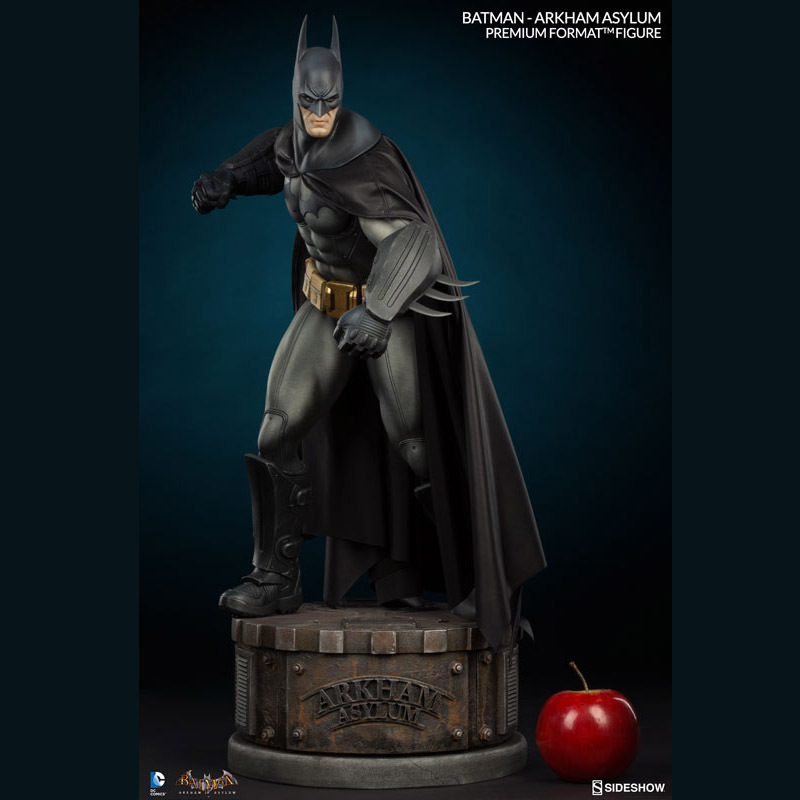 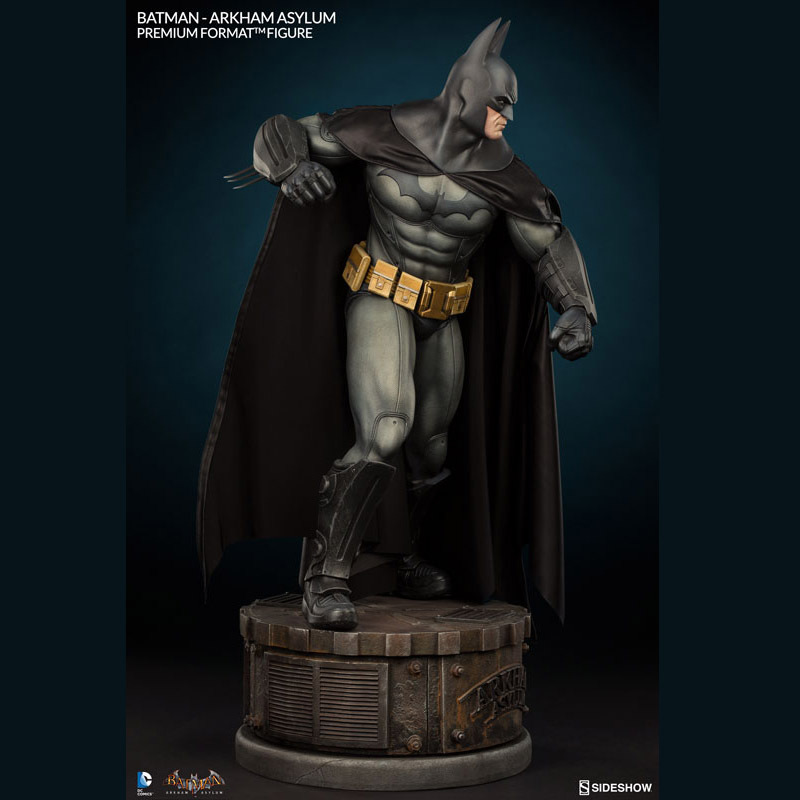 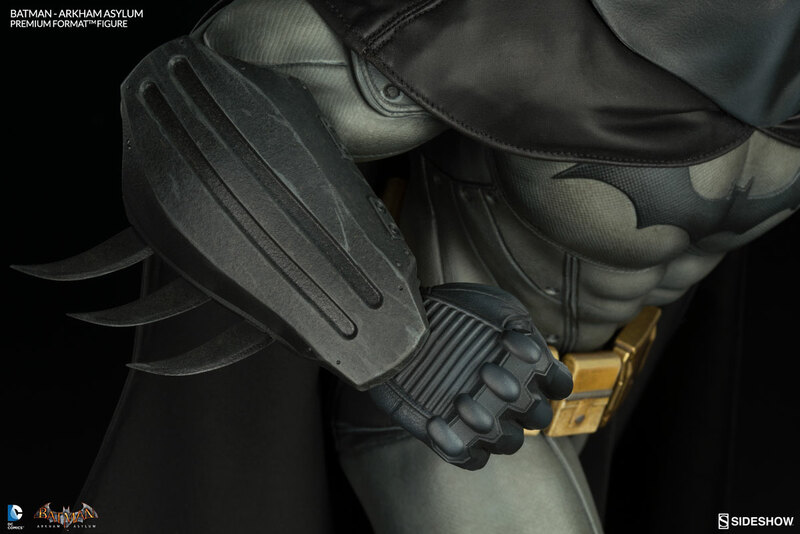 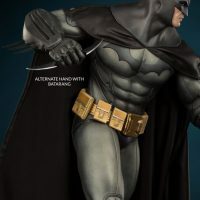 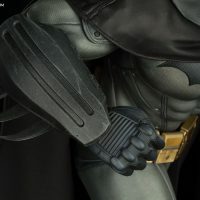 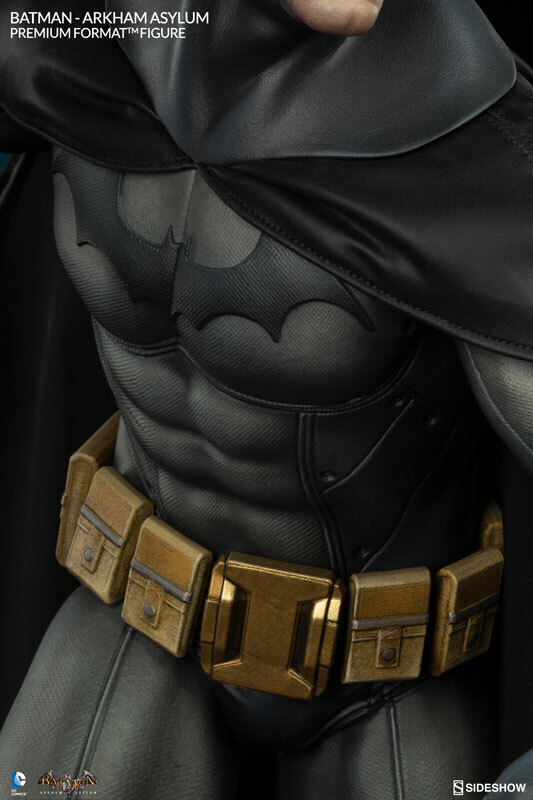 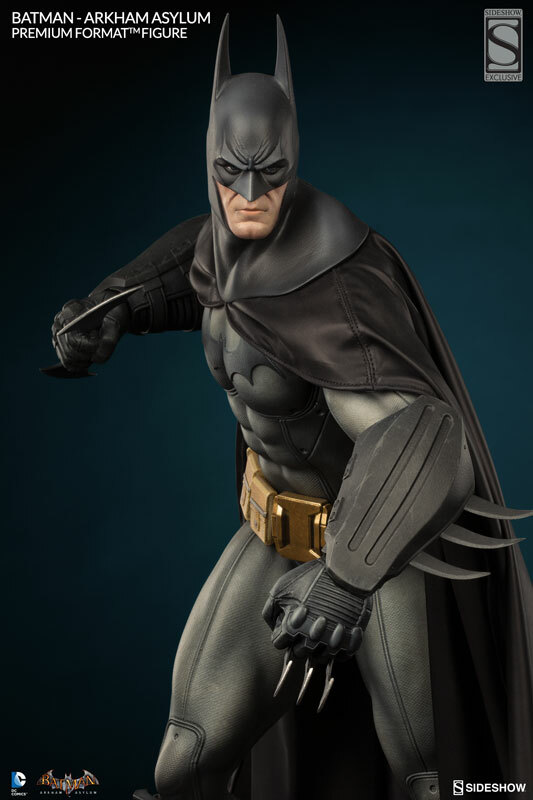 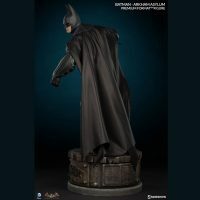 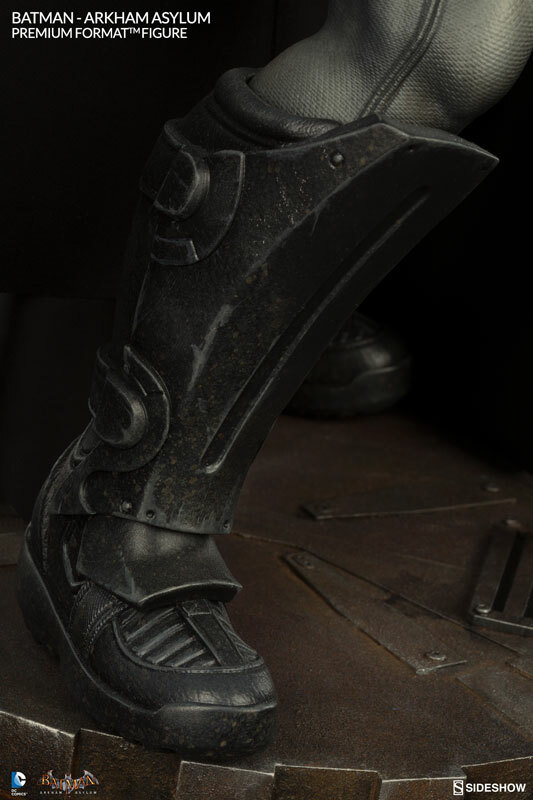 Based on 2009’s Batman: Arkham Asylum, this 25-inch-tall statue features the Dark Knight at his knuckle-punching best, wearing his black and grey industrial-style Batsuit with bladed gauntlets and armored boots. 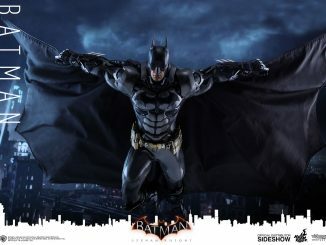 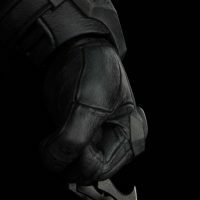 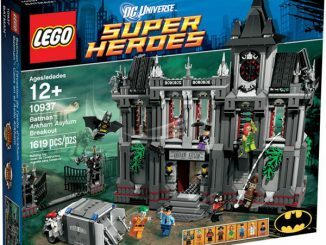 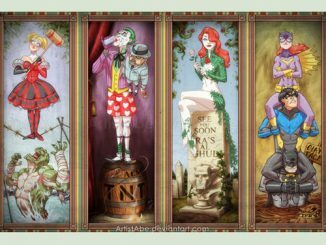 He also has a free-flowing tailored cape, an interchangeable hand that lets him be armed with a Batarang, and a detailed Arkham Asylum base. 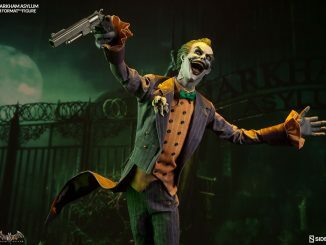 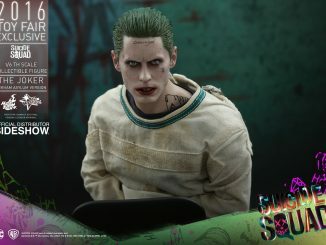 He’s ready, willing, and able to face the Joker Arkham Asylum Premium Format Figure. 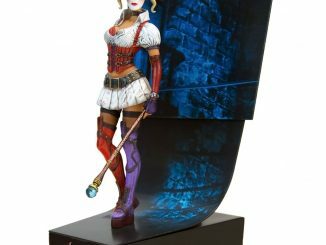 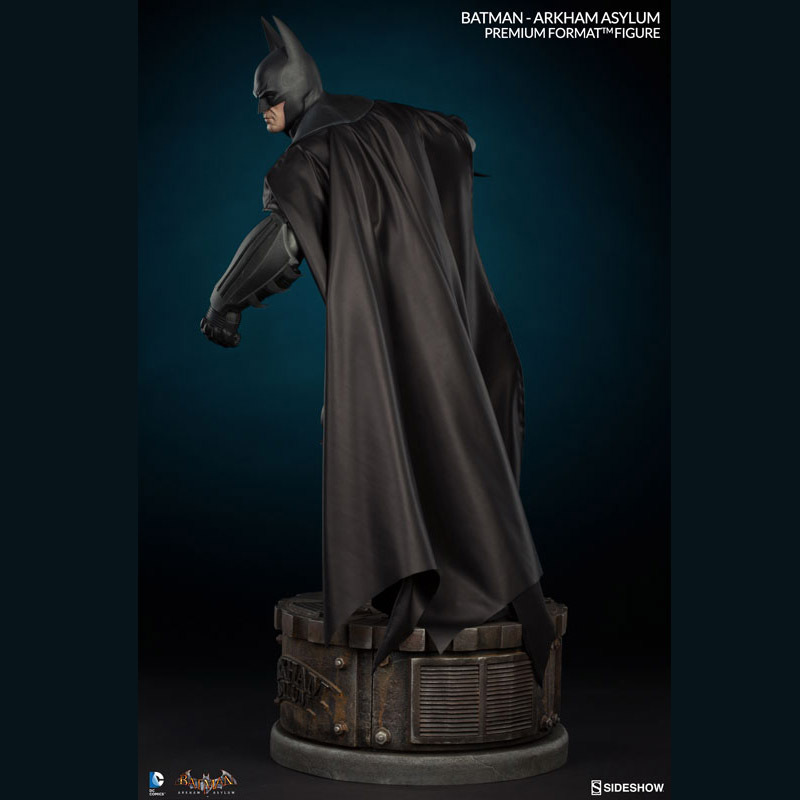 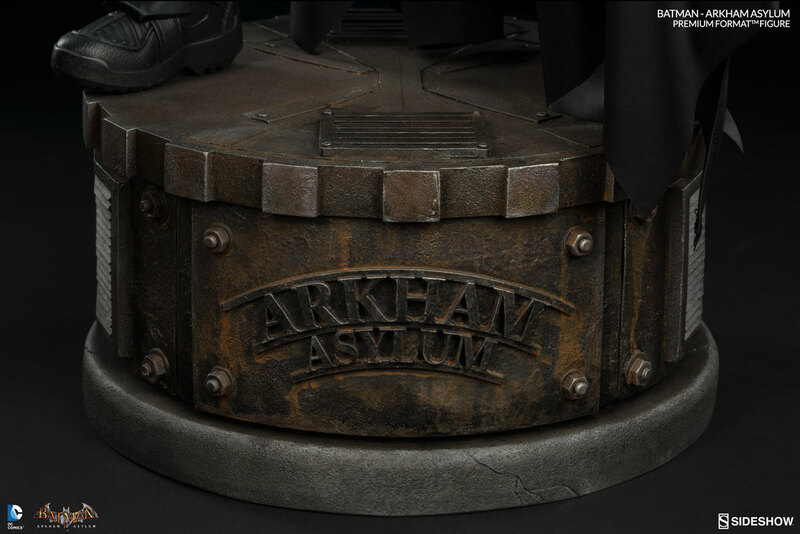 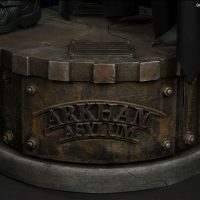 The Batman Arkham Asylum Premium Format Figure will be available Jun 2016 – Aug 2016 but it can be pre-ordered now for $469.99 at Sideshow Collectibles.